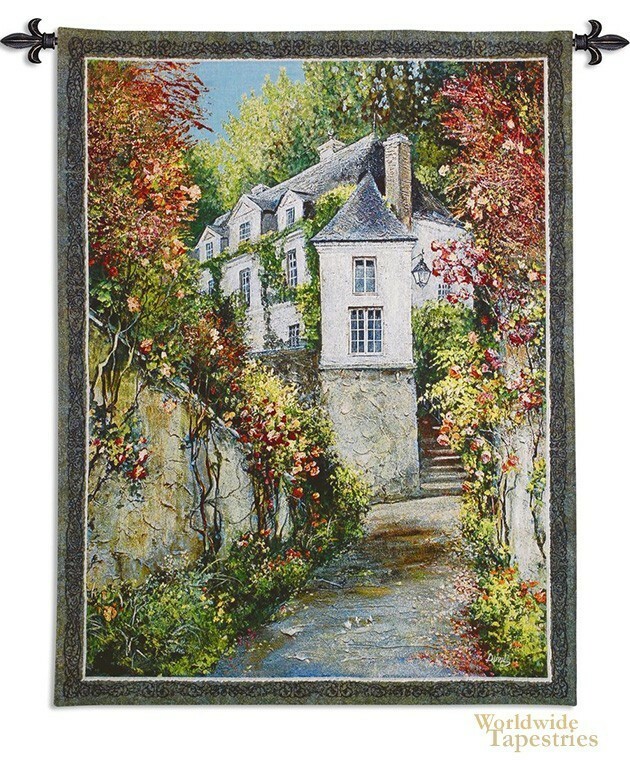 This tapestry "Regency House" shows an estate home in Lucerne Switzerland, by artist Roger Duvall. Filled with charm, this traditional style mansion is nestled in trees and a garden full offlowers in bloom. The works of Duvall reflect his love of the beauty of the European countryside and depicts homes and villas in all its charm. This tapestry "Regency House" is backed with a lining and has a tunnel for easy hanging. Note: tapestry rod and tassels, where pictured, are purchased separately. Dimensions: W 39" x H 52"